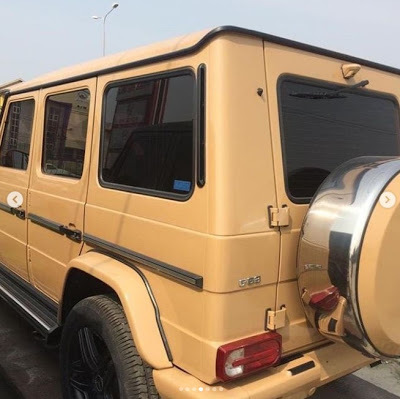 Musa Danjuma's girlfriend and former video vixen, Kelly has acquired a G-Wagon G65 AMG said to be worth N45m. She showed her latest machine of on IG. Kelly who is half Nigerian and half Caribbean, started showing the billionaire off shortly after his separation from wife—Nollywood actress, Caroline Danjuma, but sources say they have been together even while Caroline was in the picture. Musa and Caroline have 3 kids together.